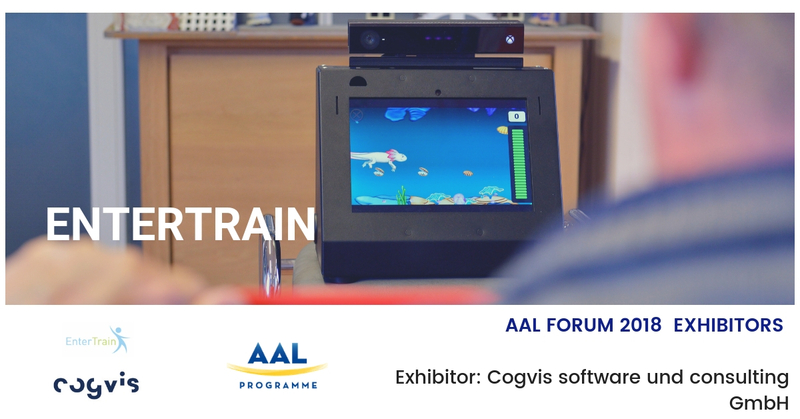 Cogvis, known for their expertise in intelligent analysis of 3D data and images, developing and selling innovative AAL solutions to help older adults live healthier more independent lives, will be exhibiting the project EnterTrain at the 2018 AAL Forum. EnterTrain, driven by its name as an entertaining product that enhances the independence of older adults through motivational physical training, is an exciting gaming platform with some very interesting body movement games which you will be allowed you to test at this year’s forum. This new technology detects movement, assesses individual mobility and is personalised so users can have fun gaming, and inconspicuously training, at home. Cogvis, originally founded as a spin-off of the Vienna University of Technology (TU Wien), have been working on commercialising the latest research results in the technology transfer of their products ever since. Their expertise is well established in computer vision, machine/deep learning, AI and 3D data processing and they have already successfully implemented their ‘fearless’ system in Seniorenresidenzen and Herz-Jesu facilities. ‘fearless’ is an intelligent, contactless fall sensor that both detects and prevents falls. Cogvis are also working on further developing workplace solutions for rehabilitation and the support of care.